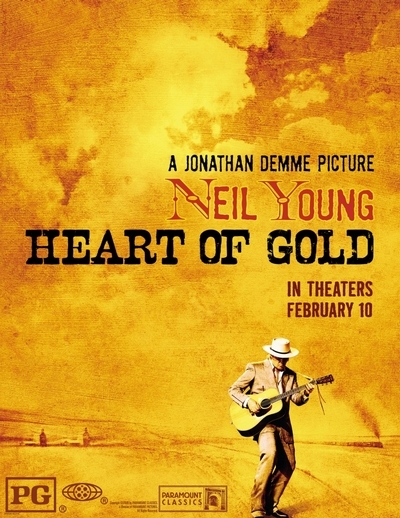 Story: "Neil Young: Heart of Gold" is filmmaker Jonathan Demme's ("Philadelphia," "Silence of the Lambs," "Stop Making Sense") intimate musical portrait of legendary singer/songwriter Neil Young, filmed on the occasion of the world premiere of Young's Prairie Wind concert at Nashville's hallowed Ryman auditorium last summer. Young's music provides an emotionally rich view into this unique artist's relationship to family, friends, mortality and the passage of time. Young is accompanied on stage by many long time musical companions, including country star Emmylou Harris, Neil's wife Pegi Young, and band leader/ steel guitarist Ben Keith.